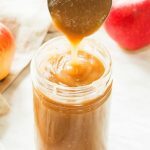 Instant Pot Apple Sauce is easy to make and customize to your preferences. Smooth or chunky, with cinnamon, unsweetened or not, homemade applesauce is a delicious dessert, topping, or baking ingredient. Going down memory lane, applesauce was definitely a part of my childhood growing up in Germany. I can only recall canned jars of homemade applesauce from the cold storage cellar. The super smooth store-bought applesauce didn’t enter the picture until later. So I grew up with homemade chunky German applesauce. We mostly used it as topping for fritters like potato fritters (Kartoffelpuffer aka latkes) but also on the German version of French toast (Arme Ritter). And it also was a favorite dessert all on it’s own. Going forward to now, I realized that my daughter never really had applesauce. Because we did baby-led weaning she never had any typical baby food. So when I was making this applesauce Instant Pot recipe, I had no idea if she would even like it. Well, turns out kids are kids and most kids LOVE applesauce. She and her cousin (they are the same age) were sitting next to each other and just kept gobbling it up. And even the following days they kept requesting applesauce for dinner. Literally any apples can be turned into applesauce. Therefore I say that the best apples for applesauce are the ones you already have on hand. I used two different varieties of Gala apples, which happen to be my favourite apples because of their sweet flavour and crisp texture. But the reason I used them is because those were the apples my mom had on hand when I made this easy applesauce recipe at her house. My parents live in the Okanagan valley which is famous for its fruit orchards. So these were delicious, locally grown Gala apples. 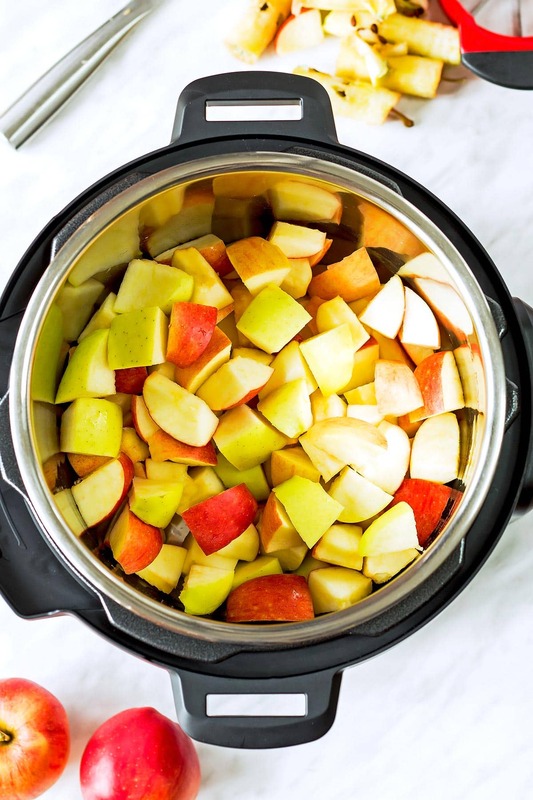 Soft apples also break down faster into applesauce, but that doesn’t really matter much for Instant Pot applesauce since we utilize pressure to speed up the process anyway. The process for making apple sauce in the pressure cooker is quite simple. To prep, peel and core the apples. I use an apple slicer that cores and cuts the apple into wedges in one swift move. Then I cut the wedges into large chunks and add them to the bottom of the Instant Pot. To the apple chunks, add 1/4 cup water, a pinch of salt, apple pie spice, juice of half a lemon or lime, and maple syrup or brown sugar as sweetener. 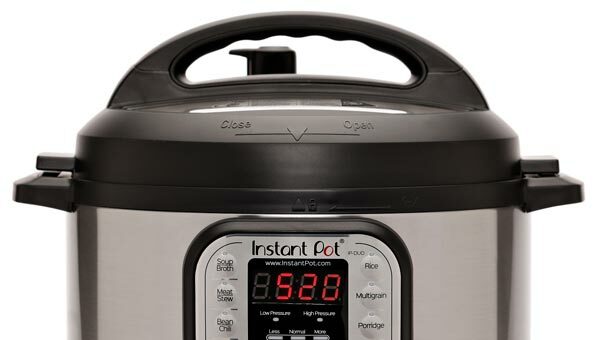 Close the lid, turn pressure valve to sealing position, and set the Instant Pot to Manual High Pressure for 5 minutes. The pot will take about 15 minutes to build pressure before the timer starts counting down. Once the cook time is up let the pressure release naturally. Natural Pressure Release (NPR) takes about 20-25 minutes. If you are in a hurry, you can quick release (QR) any remaining pressure after 15 minutes. 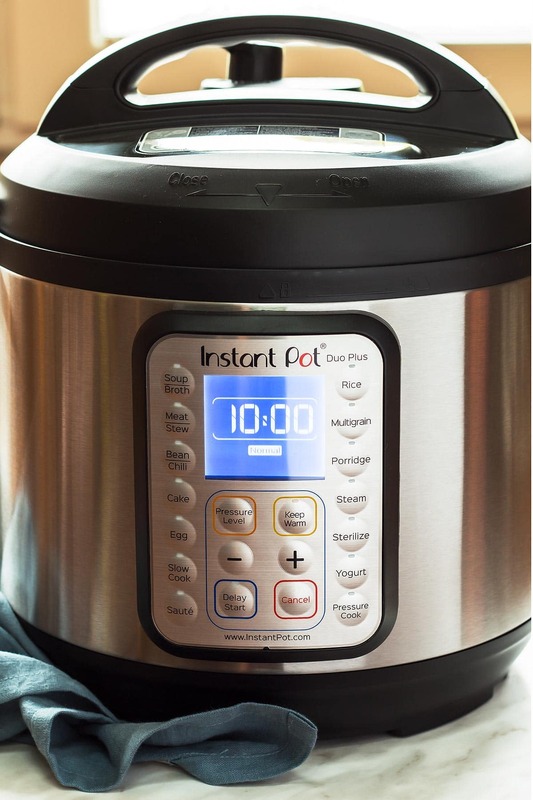 !Don’t quick release too soon though, because the applesauce bubbles up inside the Instant Pot and you might end up with scalding hot applesauce escaping together with the steam through the valve posing clogging and burn risks! Once the pressure is released, you can proceed with making homemade applesauce to the texture of your liking. Read on in the next step about your options. For extra smooth applesauce use an immersion blender to purée everything to a fine consistency. To make homemade chunky applesauce you have a couple options. For extra chunky you don’t really have to do anything. The apple pieces are soft enough that they will break up somewhat as you transfer the applesauce to a storage container. For a little less chunk, just use a wooden spoon to stir everything up before transferring. And for just a little bit of chunk use a potato masher to break up the apple chunks before eating or storing. There are a lot of nutrients and flavour in and right underneath the apple skin which you lose out on by peeling. You can make applesauce with skin to get the additional benefits and save yourself the peeling work. However, I would recommend using only organic and if possible, unwaxed apples if making Instant Pot applesauce with peel. I always make my applesauce with skins when I plan to blend everything super smooth with the immersion blender anyway. But that’s not necessary if you enjoy the texture of cooked apple skin. When making applesauce no sugar is required – it’s totally optional. Simply leave out the sweetener if you want to make unsweetened applesauce that is also Whole30 compliant. Make sure to use a sweet apple variety if you still want a naturally sweet tasting applesauce. I like to use a teaspoon of my apple pie spice mix to flavour my easy apple sauce. It includes cinnamon, nutmeg, cardamon, allspice, and ginger – all spices that beautifully compliment the flavour of apples. You can also use a teaspoon of just ground cinnamon or add a whole cinnamon stick to the apple chunks, if cinnamon applesauce is the only flavour you want to add. I have successfully made only half batches of this simple applesauce recipe. The Instant Pot had no trouble building up pressure. And I am also certain you should be able to double the recipe to make bulk applesauce. I love to eat a serving of fresh applesauce when it’s just made and still hot. But it’s also just as delicious cooled down to room temperature or cold from the fridge. 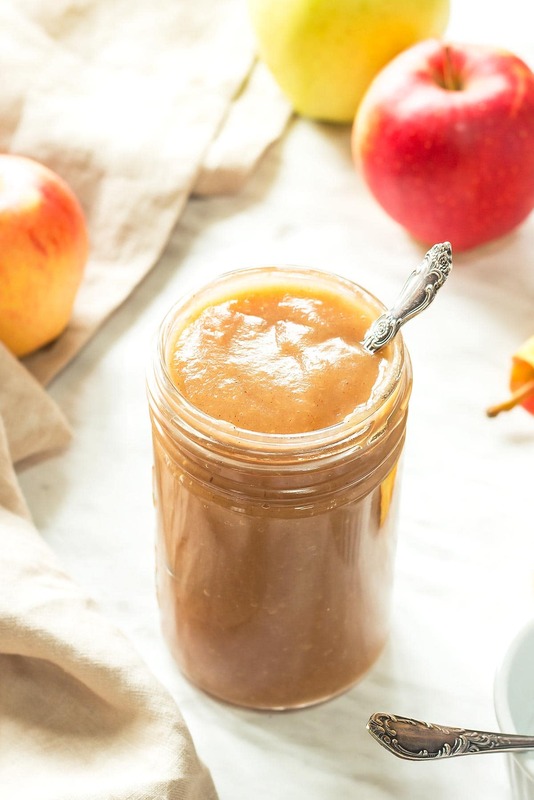 This healthy applesauce can be stored in the fridge in an airtight container for 1-2 weeks. In a freezer-safe container it can be stored frozen for up to 3 months. 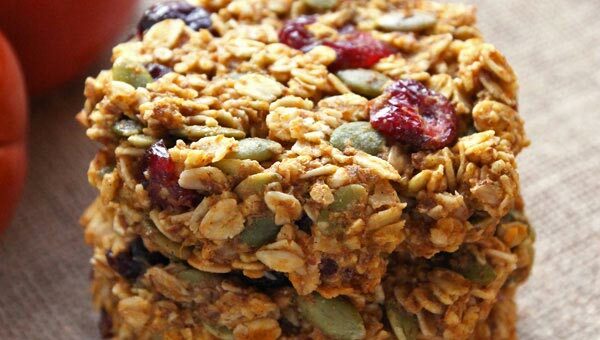 Applesauce is a fantastic baking ingredient. It makes wonderfully moist cakes or sweet breads and can also be used to replace certain ingredients. 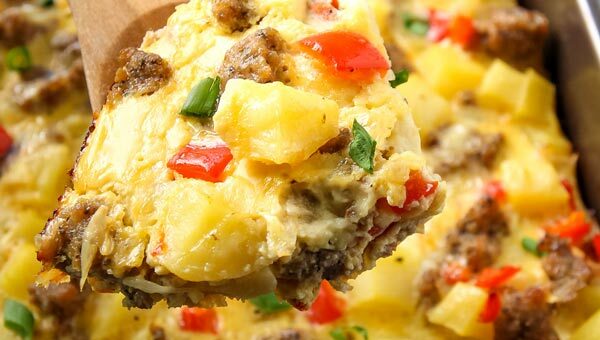 Use 1/4 cup applesauce to replace 1 egg in cake or muffin recipes. Use a 1:1 ratio when substituting applesauce for oil or butter. If a recipe calls for 1/2 cup oil, use 1/2 cup applesauce instead. 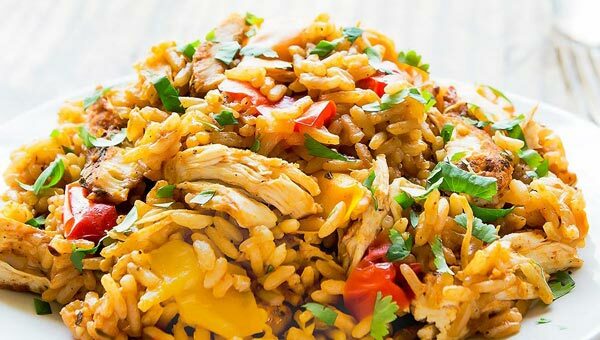 This is the first recipe I tried in the Instant Pot Duo Plus. It has a few more smart functions added (sterilize, egg, cake) and I love the fancy blue digital display. I love that my apple cutter takes cares of coring and cutting the apple into slices with just one quick move; though some arm strength is required. An Immersion Blender is absolutely the way to go for ultra smooth applesauce. 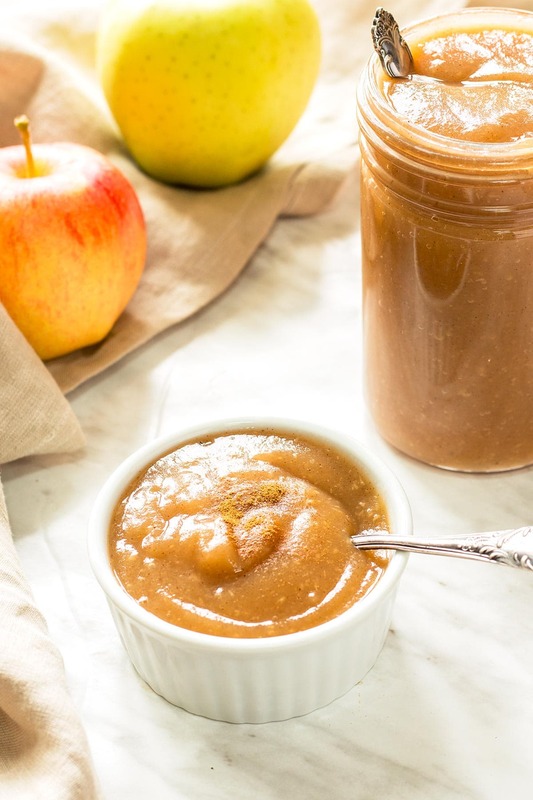 Instant Pot Apple Sauce is easy to make and customize to your preferences. Smooth or chunky, with cinnamon, unsweetened or not, homemade applesauce makes delicious dessert, topping, or baking ingredient. Peel the apples, if desired. Core them to remove stem and seeds. Cut the apples into large dice. I used an apple slicer, and then cut each slice in half one more time. 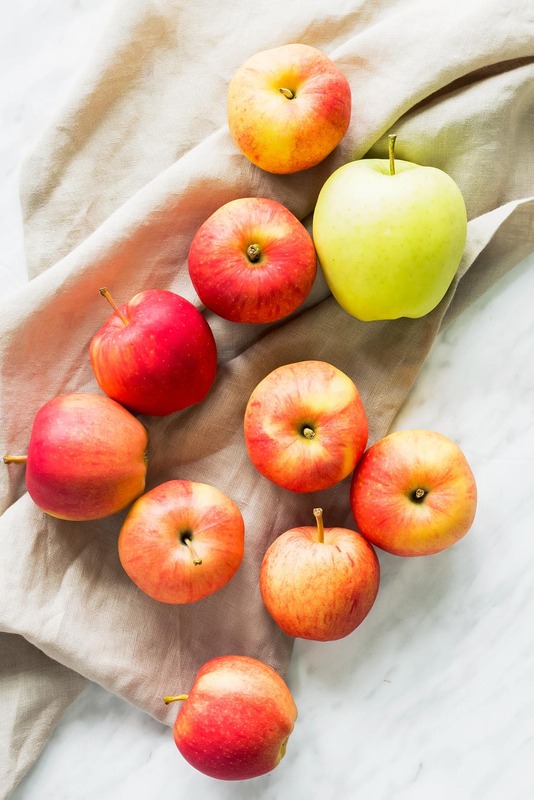 Add the apple pieces to the Instant Pot together with the water, salt, spices, lemon/lime juice, and optional sweetener. Close the lid and turn the valve to sealing. Pressure cook on HIGH for 5 minutes. The pot will take about 15 minutes to come to pressure. After the 5 minutes of cook time are up, let the pressure release naturally (NPR). It takes about 20-25 minutes, but if you are in a rush you can quick lease (QR) any remaining pressure after 15 minutes. 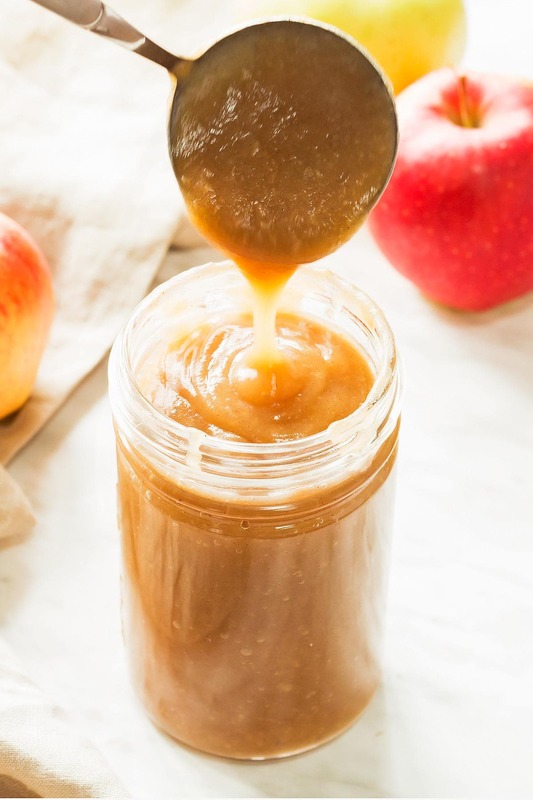 If you peeled the apples, you can just stir them up with a wooden spoon and they disintegrate into a chunky applesauce texture just like that. Use a potato masher for a little smoother but still slightly chunky texture. For super smooth applesauce and if you left the peels on, use an immersion blender to puree the applesauce (or transfer the mixture to a blender, if you don’t have an immersion blender). 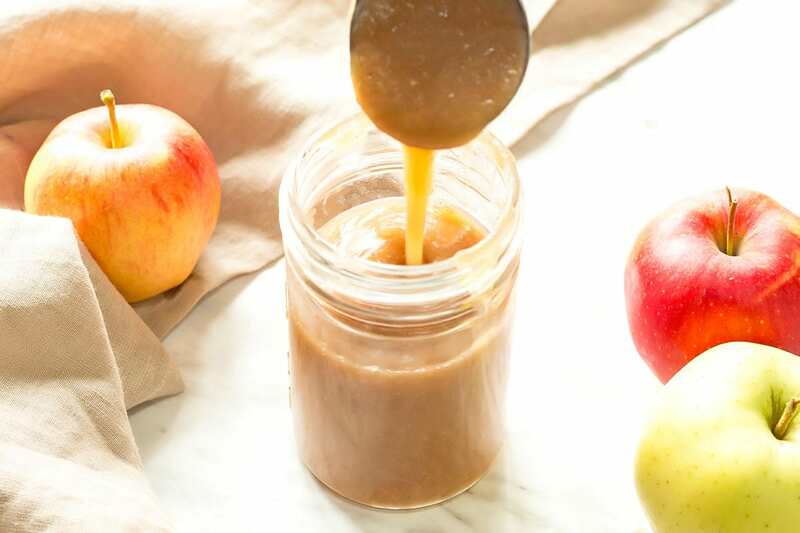 Enjoy the applesauce hot, cold or at room temperature or use in your baking projects. Store refrigerated for 1-2 weeks or freeze for up to 3 months.